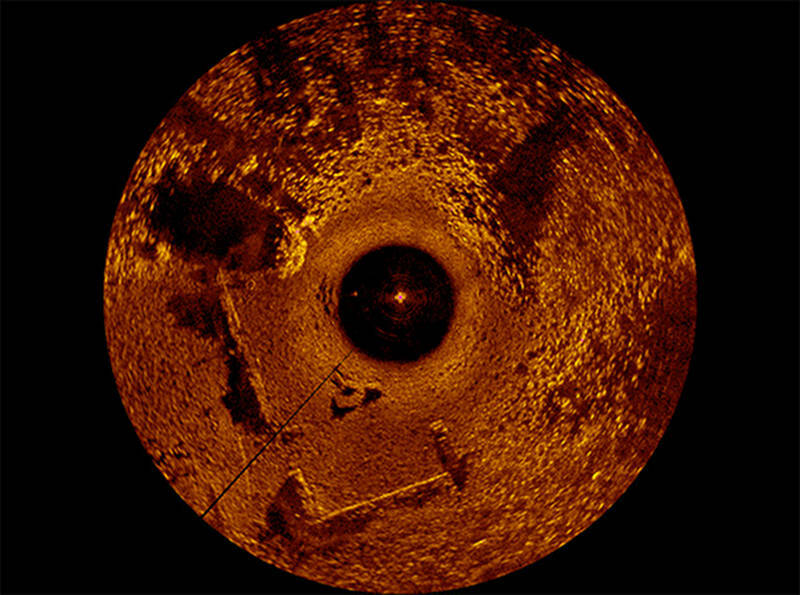 The outline of a building appears in a Sector Scan sonar image. 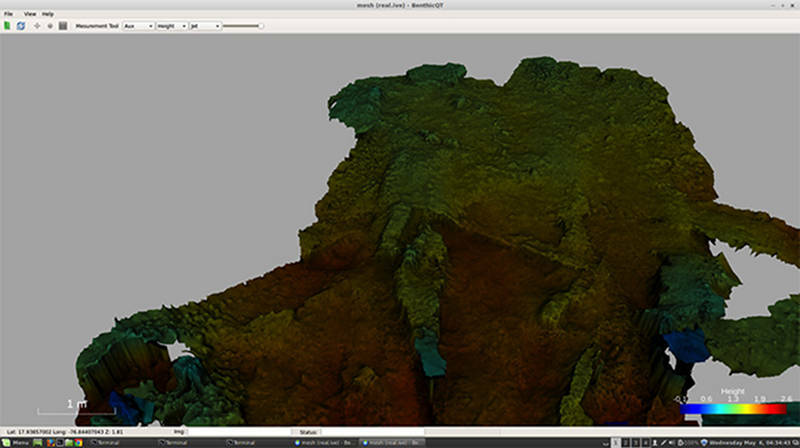 Image courtesy of the Uncovering a Pirate City: 3D Mapping for Marine Applications Expedition. Download image (jpg, 103 KB). 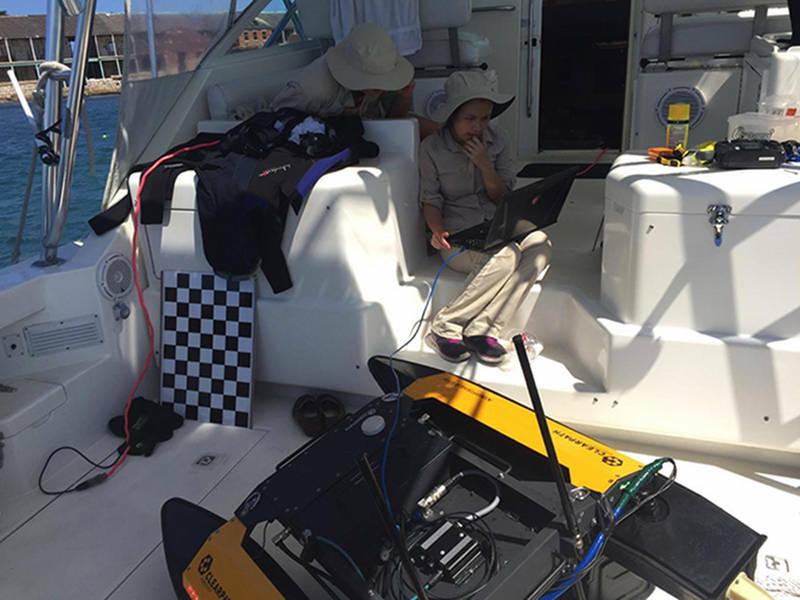 Leading the state-of-the-art development of marine robotic 3D mapping for underwater archaeology, our University of Michigan-based team recently returned from an archaeological field expedition to the underwater city of Port Royal, Jamaica. 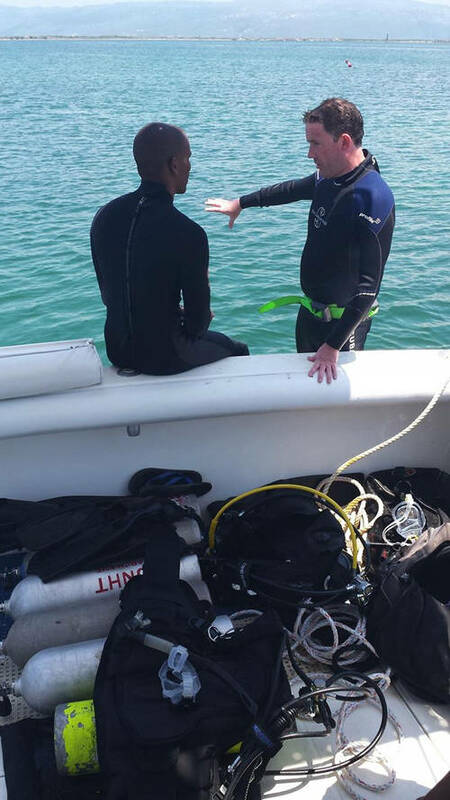 Fieldwork for this two year project, funded by the NOAA Office of Ocean Exploration and Research, began with a weeklong effort to map the submerged city. Autonomous Surface Vehicle surveying site. Image courtesy of the Uncovering a Pirate City: 3D Mapping for Marine Applications Expedition. Download larger version (jpg, 199 KB). Due to its key geographic location in the middle of the Caribbean, in the mid to late 1600s, Port Royal was the English mercantile capital of the New World – a bustling seaport that was a haven for privateers and pirates who plundered treasure fleets departing from the Spanish Main. With a reputation as the ‘Wickedest City on Earth,’ Port Royal was known for its gaudy displays of wealth, excessive drinking, and prostitution. University of Michigan students Jie Li and Eduardo Iscar working on the ASV. Image courtesy of the Uncovering a Pirate City: 3D Mapping for Marine Applications Expedition. Download image (jpg, 73 KB). The glory days of Port Royal ended on June 7, 1692, when an earthquake ripped the town in two and the majority of Port Royal disappeared beneath the waves into Kingston Harbor. Today, intact buildings and streets remain preserved in 10 to 20 feet of water where ancient artifacts survive within the rooms and buildings in which they were used. 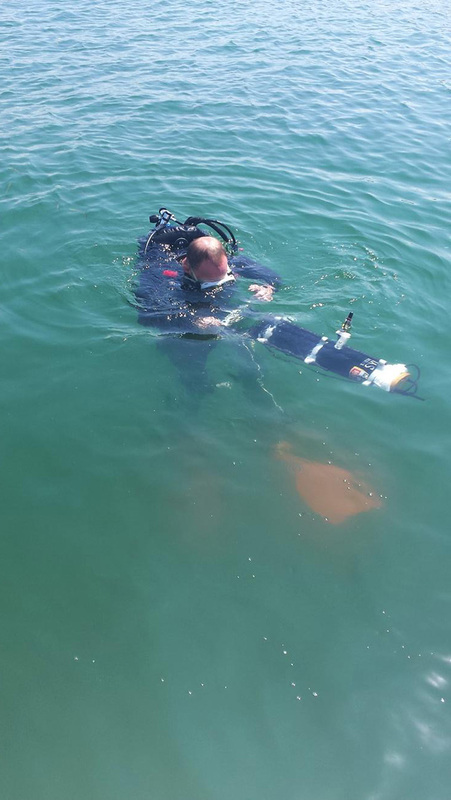 Andrew Durrant with the Australian Centre for Field Robotics stereo diver rig. Image courtesy of the Uncovering a Pirate City: 3D Mapping for Marine Applications Expedition. Download larger version (jpg, 205 KB). Our team employed a new technology, a multidimensional approach to mapping a shallow submerged site. 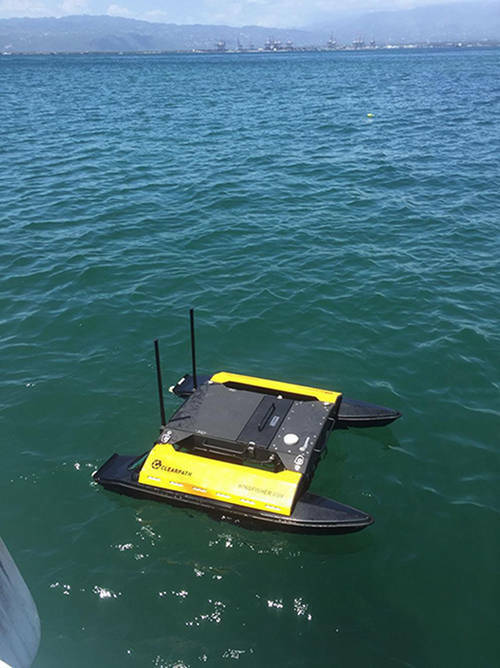 University of Michigan students Jie Li, Katie Skinner, and Eduardo Iscar developed a robotic boat that conducted both sonar and camera-based mapping of the site from the water’s surface. 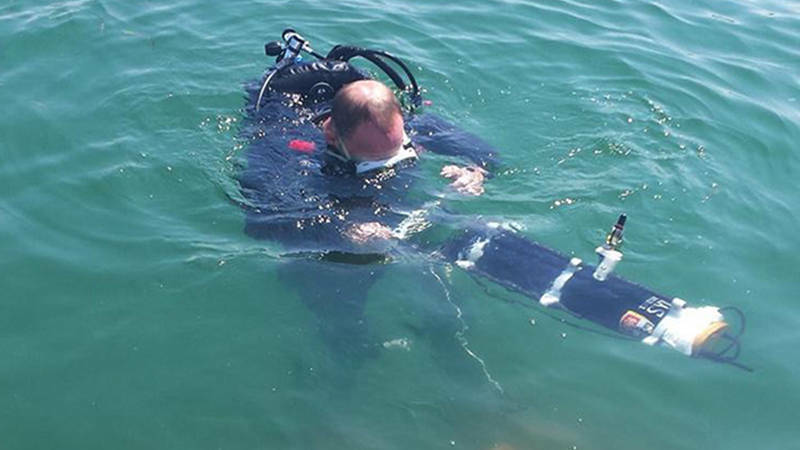 Andrew Durrant from the University of Sydney’s Australian Centre for Field Robotics employed a 3D scuba survey of the site’s underwater buildings using a robotic stereo camera rig. And Brian Abbott of Nautilus Marine Group International performed a Sector Scan sonar survey allowing the team to understand the extent of the site using acoustics. University of Michigan Student Katie Skinner with Australian Centre for Field Robotics Stereo Diver Rig. Image courtesy of the Uncovering a Pirate City: 3D Mapping for Marine Applications Expedition. Download image (jpg, 68 KB). The University of Nottingham’s Jon Henderson is leading the archeological investigation of the site and will leverage the 3D maps produced to assist the Jamaican National Heritage Trust with their application to achieve UNESCO world heritage status for the site. This application recognizes the importance of the remains at Port Royal, putting it on a par with Egypt’s pyramids, Spain’s Alhambra, or Cambodia’s Angkor Wat. 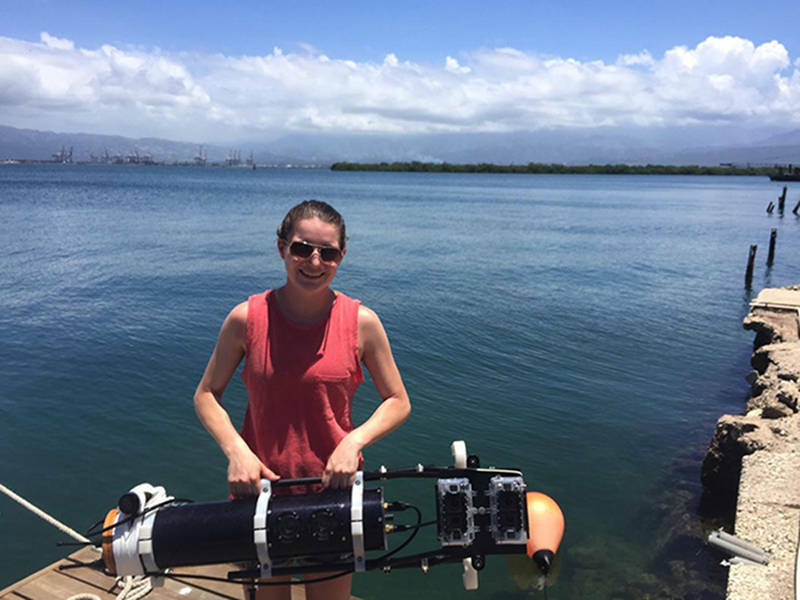 University of Michigan Student Katie Skinner with Australian Centre for Field Robotics Stereo Diver Rig. 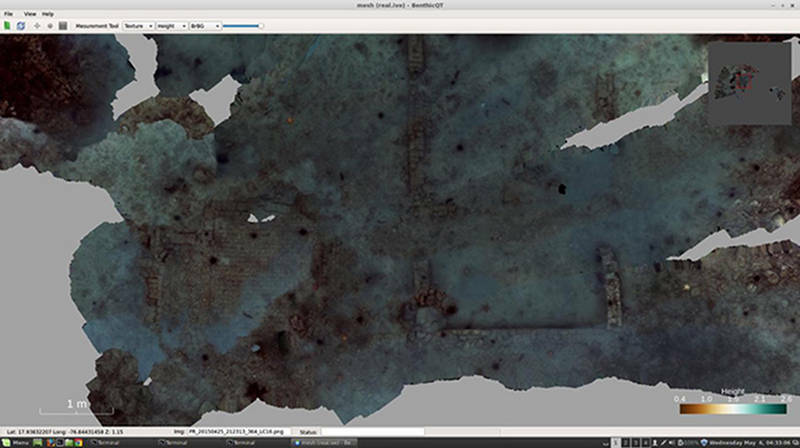 Image courtesy of the Uncovering a Pirate City: 3D Mapping for Marine Applications Expedition. Download larger version (jpg, 279 KB). The site has been given a tentative designation by UNESCO while its case is being fully assessed. The efforts of this international team will help advance the cause for world recognition of this spectacular underwater city. 3D reconstruction of several submerged buildings and remains of a street generated from the stereo diver rig. Image courtesy of theUncovering a Pirate City: 3D Mapping for Marine Applications Expedition.. Download image (jpg, 38 KB). 3D reconstruction of several submerged buildings and remains of a street generated from the stereo diver rig. Image courtesy of the Uncovering a Pirate City: 3D Mapping for Marine Applications Expedition. Download image (jpg, 49 KB). 3D reconstruction of several submerged buildings and remains of a street generated from the stereo diver rig. 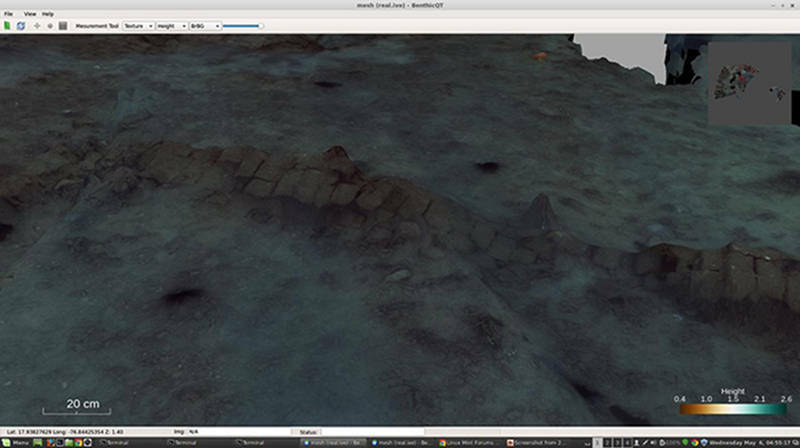 Image courtesy of theUncovering a Pirate City: 3D Mapping for Marine Applications Expedition.. Download image (jpg, 45 KB). We will be back in the field next year, so stay tuned as we continue to document this historic site and further develop this new technology.